Wet Play ---- Seeking healing? *Find membership with other lifestyle individuals = no longer seeking healing. In keeping with our nomadic hedonism we introduce *New Playpen* - Q Cavern into our party network. Formerly the African centre, this newly renovated basement bar will host our first throw down of 2012!! Q Cavern is small... -- with a nice low ceiling and fully stimulating interiors. It is underground. It is cosy and intimate and perfect for our vibe. 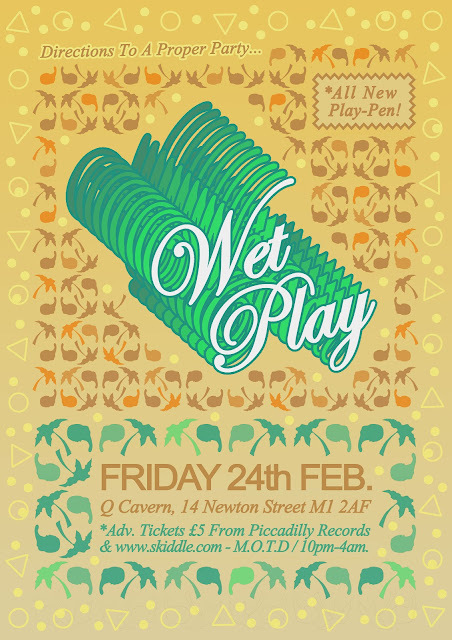 We will be deploying the usual Wet Play care package to ensure maximum comfort and satisfaction for all Players. Ruf Dug, Kickin' Pigeon, Ste Spandex, Randy Marsh & Wayward C.
BARN-DANCE LIQUOR SWILLING MADNESS AT NIMBA'S BAR ALL NITE LONG - LOOK OUT FOR SPECIAL 'STE SPANDEX SPECIAL' COCKTAILS!! BRING A HAY BALE! *please note to due the intimate nature and maximum hype we expect this party to sell out. Attain FULL drench - One Key Per Player. A glorious feeling; soak up the fun. If any tickets are left it will be slightly more on the door on the evening.